​A rare treat: nine of the ten New Zealand Poet Laureates will gather to read their work, with Rob Tuwhare joining them to represent his late father, Hone Tuwhare. Twenty years ago, John Buck of Te Mata Estate Winery created the Te Mata Estate Laureate Award; in 2007 the government took over funding of a Poet Laureate and vested responsibility for the Award with the National Library. 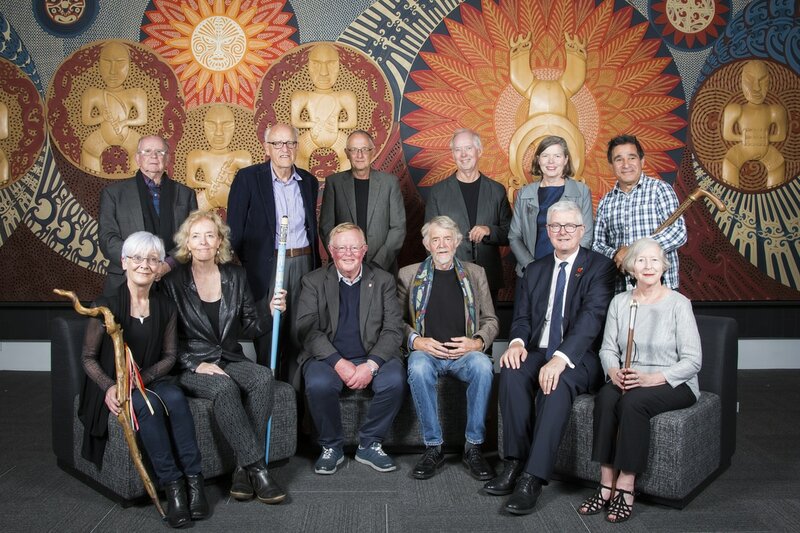 This session of New Zealand’s poetry elite features Bill Manhire, Elizabeth Smither, Brian Turner, Jenny Bornholdt, Rob Tuwhare for Hone Tuwhare, Michele Leggott, Cilla McQueen, Ian Wedde, Vincent O’Sullivan and current Laureate C.K. Stead. Fergus Barrowman (Publisher, Victoria University Press) will MC the event.